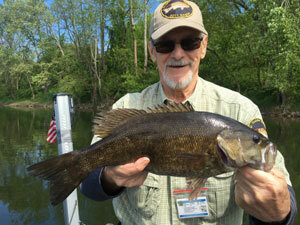 The Susquehanna River is known for being one of the best smallmouth fisheries in the United States and the North Branch of the river is the best of the best.The fishing, scenery, and wildlife is second to none. It's common for us to to see bald eagles, great blue heron,ducks, geese, song and shore birds along with deer, raccoon, mink, beaver and the occasional fox, bear, and river otter. Ask about our scenic river tours and bird watching tours! 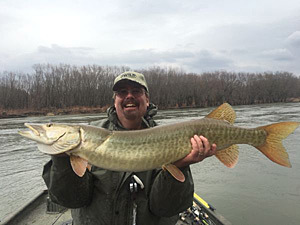 Come fish with one of the best professional, full time river guides, (7 days a week), that has more river experience and more documented hours on the water than any other guide on the Susquehanna River! I cover over 60 miles of river and can tell you where the fish were yesterday, today, and tomorrow from ice out to ice in. L.D.Guide Service was started in 1980 and continues today to be one of the best guide service's you can find with the most experience guide and very reasonable rates with a 80% customer return. 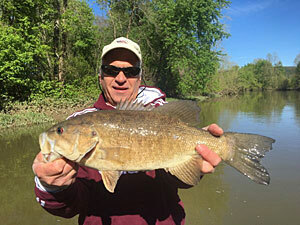 I am available for fishing seminars during my off season from January until Mid April! I give a 1hr power point presentaition on fishing throughout the seasons. From ice out when the water is cold and clear through the high water muddy season, the hot weather mid season, and the beautiful fall ending up with ice in the winter. 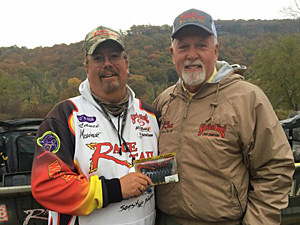 I'll show you the lures we use, the best location presentations, and how to properly present those lures like we do in my boat to catch an average of 10K fish per season!.Contact me for my rates on seminars. YOUR CALLS ARE IMPORTANT TO ME! However during fishing season from Mid March to the end of December I'm usually out with clients on the river and can't talk on the phone. However you could still send me a text at 570-250-1147 or send an e-mail at lance@ldguideservice.com and I could answer you during the day. If you wish to talk to me at 570-250-1147, I get home usually at 8:00PM and hit the bed at 9:00PM. I can take your calls or call you back at that time. Thanks for understanding. 2014- 8,367 fish, a non traditional season. Muddy water up until July but we still caught fish! 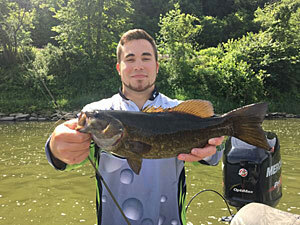 2011 - 8,250 fish * Wettest season in Pa History! High waters, floods and mud most of the season. One Experienced Guide - One Boat ! Please take the time to explore my website to see what all my guide service has to offer. I look forward to fishing with you. 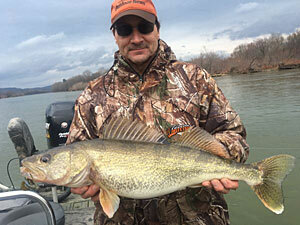 Check out my 6hr cold water specials in March and December at $195.00 for 2 people!!!!!!! *Please note! Longer or shorter hours than the 6hr special will be at the regular yearly rates. Take a look at this: www.youtube.com/Menschy333 -----A short video of a trip we did in November, we still catch quality fish in cold water! Give it a try! 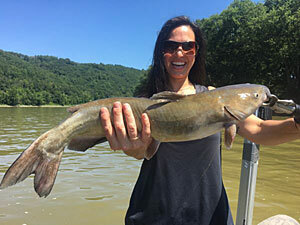 Want to learn how to catch river fish and be entertained at the same time? Check out my DVD's for sale! Just go to "Shop" up above, click on "Gifts and video's" then select the one for you! Winter shows where I'll be at for 2019! NOTE** I will be giving away 1 free 4hr charter as a door prize for each of the first 5 shows!! Jan 17th through the 20th The 2019 Outdoor Sportsman,s Expo at the Lycoming Mall in Pensdale Pa. www.nmpwoutdoorexpo.weebly.com I'll have a 20ft booth and will be giving seminars. Feb 16th and 17th: The 19th Annual Valley Outdoors Cabin Fever Expo at the Mifflinburg Intermediate School, I have a 20ft booth. July 6th & 7th: Hunters Gallery Customer Apreciation Days, 237. Mt Cobb HWY, Lake Ariel, PA I have an outside booth under tent. Stream or Download the latest video from L.D. Guide Service now on Vimeo! Want to know if we can fish? Click on River Conditions, if the depth gauge is 6 ft or less, I can find us some fish to catch and I don't care if it's muddy. Come and join L.D. 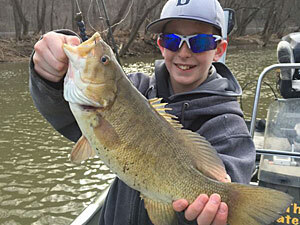 Guide Service/Lance Dunham now on Facebook. I check it twice a day. A great way to keep in touch.